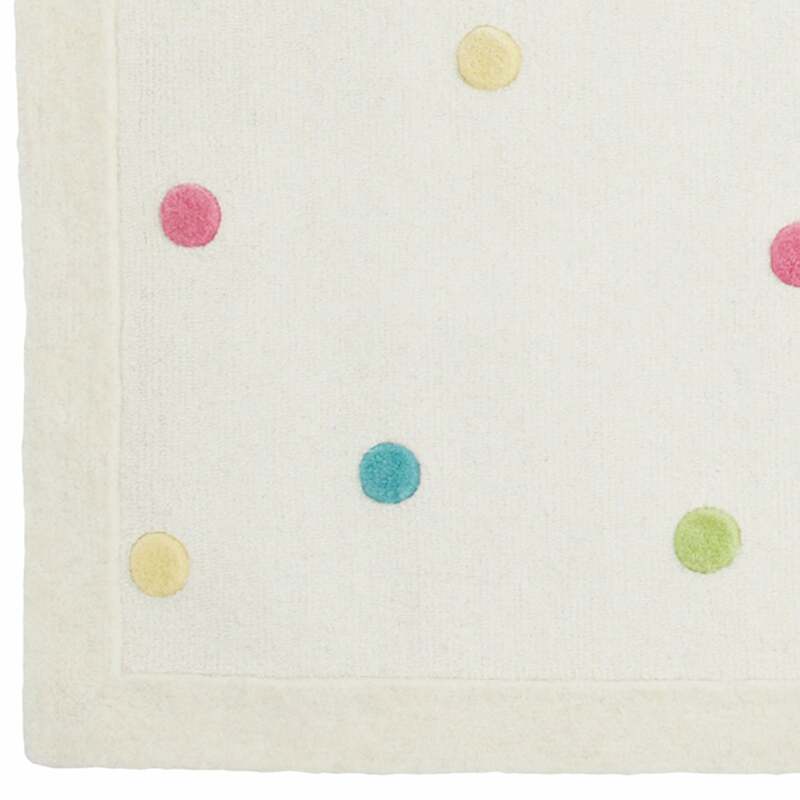 Confetti Spot Rug, Large | Great Little Trading Co. 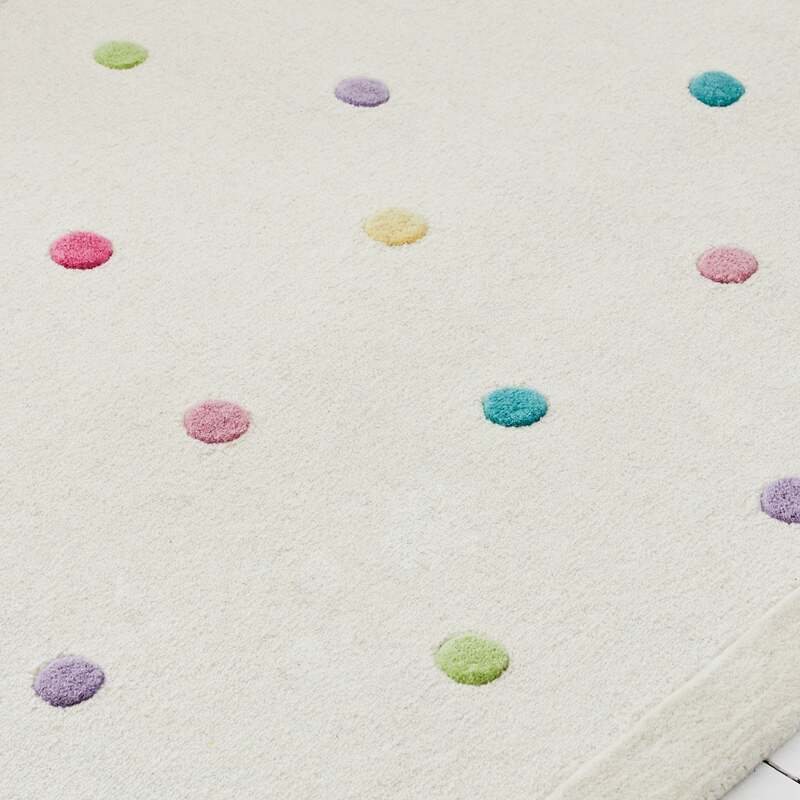 This pretty rug is much kinder to knees and toes than hard floors, especially since it's made from thick, pure wool. 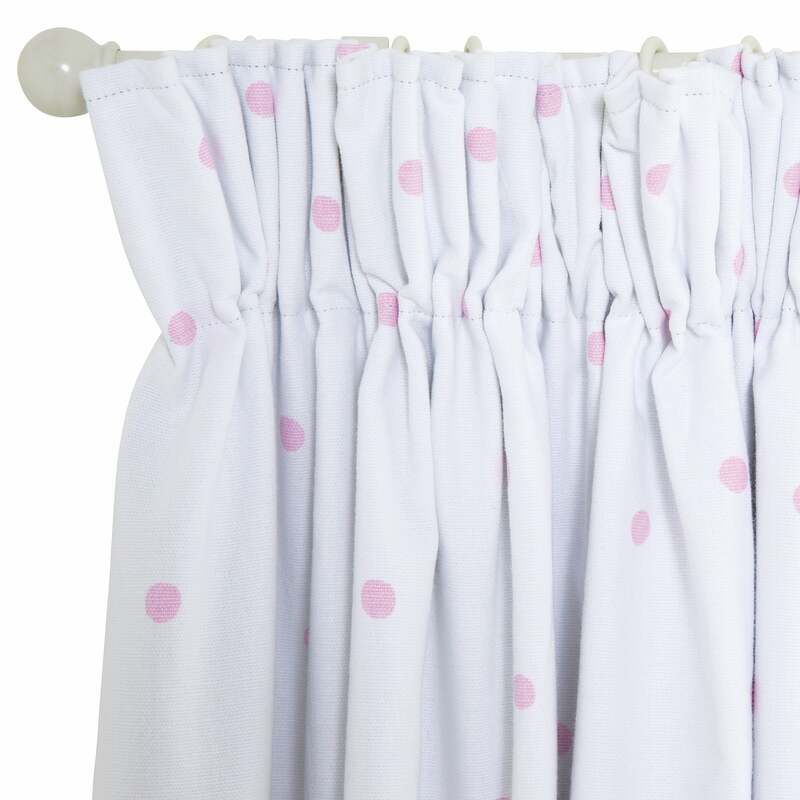 It's currently available in Large only. We're proud to say our rugs really are top notch; they're hand tufted and made from 100% natural wool so they'll definitely stay the distance. If you need a bigger size you might like our Grey Star Rug which comes in Extra Large and our new Enormous size. This rug looks fbaulous with our coordinating Blackout Curtains, Children's Bedding, and Storage Cubes.